David was born and raised in Nashua, New Hampshire. After being injured while working at United Parcel Service in 1992, David went to law school at Willamette University College of Law in Salem, Oregon. While in law school, David was an associate editor on the law review and the vice-chairman for the moot court board. He also received various other honors and awards. Upon returning to New Hampshire in 1999, David clerked for New Hampshire Supreme Court Justice, Sherman D. Horton, Jr. for a year. He then went to work for Liberty Mutual Insurance Company to defend the company and their insureds. David began working at McDowell & Osburn in January of 2003. David’s experience includes representing injured people in all aspects of litigation in both state and federal courts. 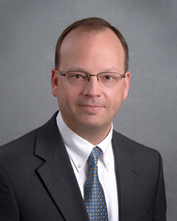 He has experience pursuing jury trials, workers compensation claims and appeals. This includes representing injured people against insurance companies that wrongfully deny insurance coverage for injuries and deaths. David’s appellate experience includes representing clients before the New Hampshire Supreme Court and the United States First Circuit Court of Appeals. His appellate work includes the following published decisions: Concord Gen. Mut. Ins. Co. v. Doe, 8 A.3d 154 (N.H. 2010) (uninsured motorist coverage for sexual assault of minor in a motor vehicle); Luc v. Wyndham Management Corp., 496 F.3d 85 (1st Cir. 2007) (dramshop liability); Porter v. Coco, 154 N.H. 353 (2006) (property line dispute);Belanger v. MMG Ins. Co., 153 N.H. 584 (2006) (insurance coverage for a resident relative); Rakes v. United States, 442 F.3d 7 (1st Cir. 2006) (tort claim against FBI);Nilsson v. Bierman, 150 N.H. 393 (2003) (apportioning fault). David has also authored articles published in the New Hampshire Trial Bar News including: Joint Liability/Responsibility for Negligent Entrustment: Concerted Action and Imputed Liability, Volume 30, Winter 2008; and Using Rule 404(b) to Prove Enhanced Damages in Drunk Driving Cases, Volume 32, Winter 2010.